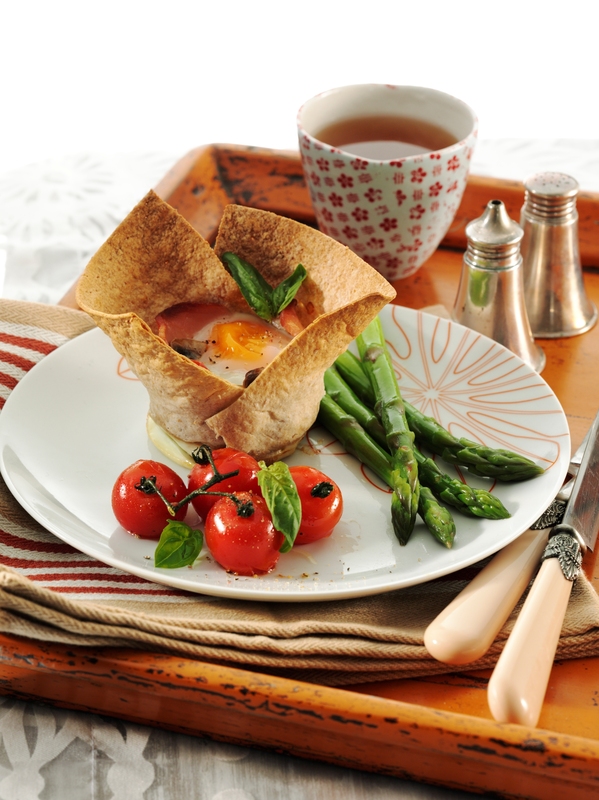 To serve, remove Brunch Bowls from tins and place onto serving plates. Garnish with extra basil leaves. These would be good served with steamed asparagus and lightly sautéed cherry tomatoes.